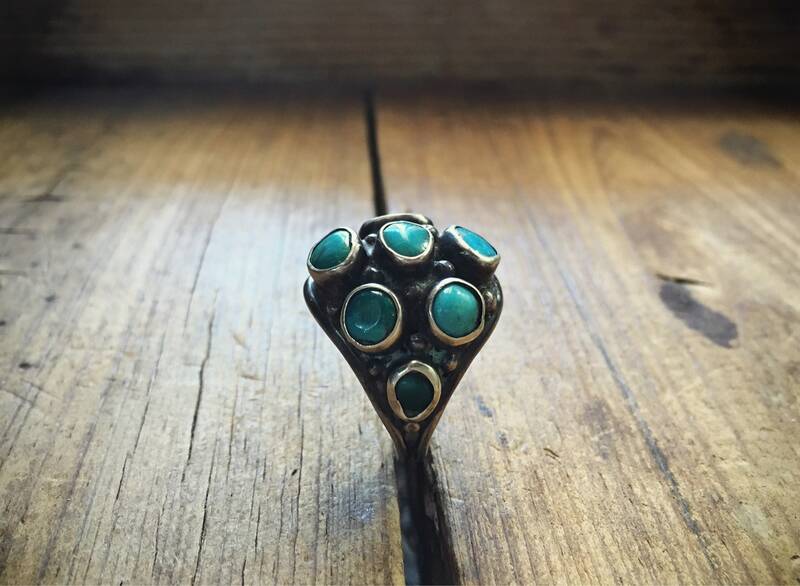 Here we have an unusual domed ring with deep blue to blue green turquoise in large snake eye settings. 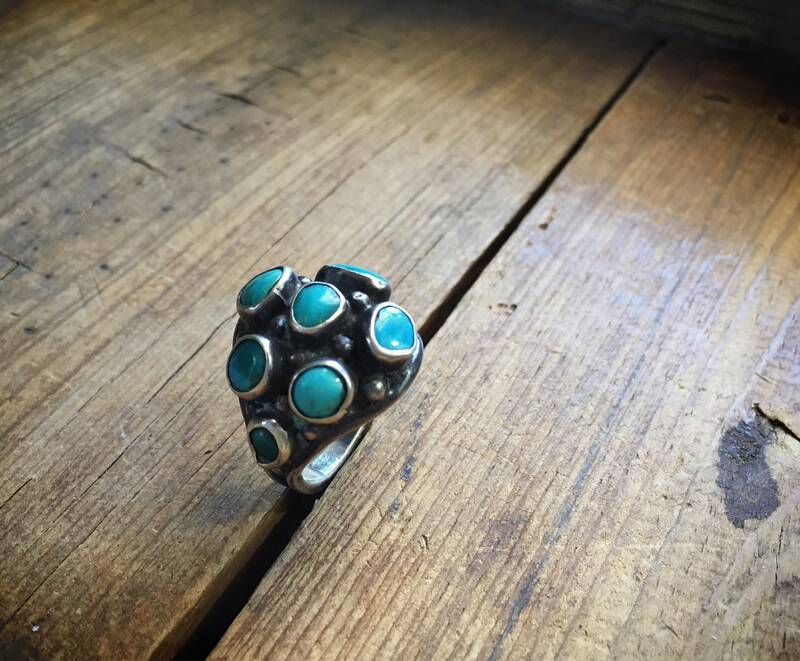 Like petit point, snake eye is a Native American jewelry method. 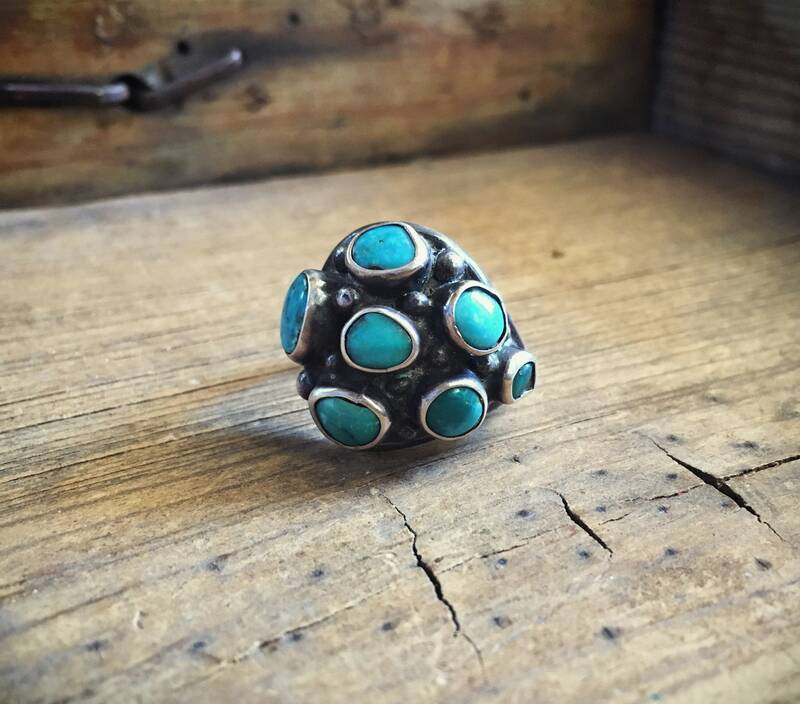 The turquoise is hand shaped into small round pieces or cabochons--and fitted by hand into a bezel silver setting. 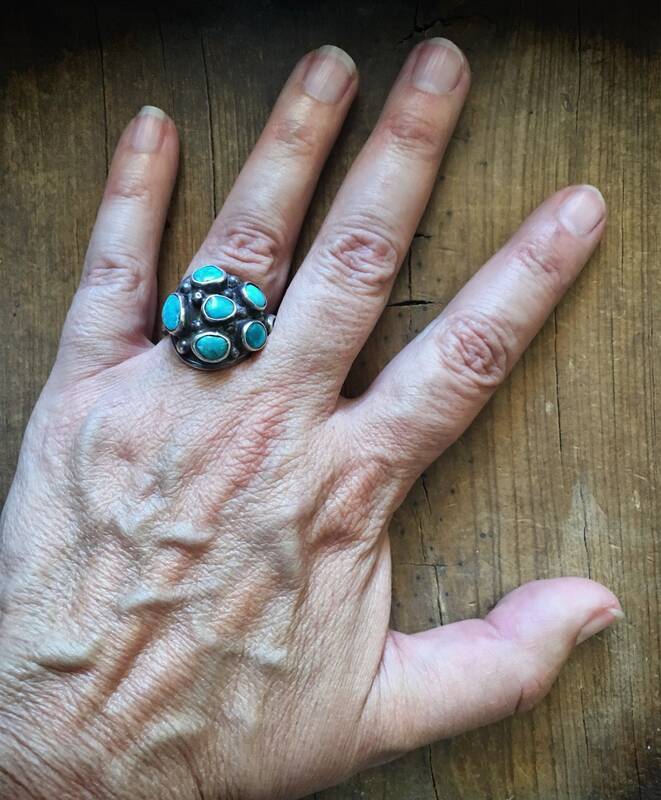 The setting on this ring is slightly chunky in design, which leads me to believe that is it 1970s, the era of Brutalist jewelry. Also, the design appears to be experimental, with part of the dome continuing down the side to the band. But that is only on one side, as the shank comes up the other. 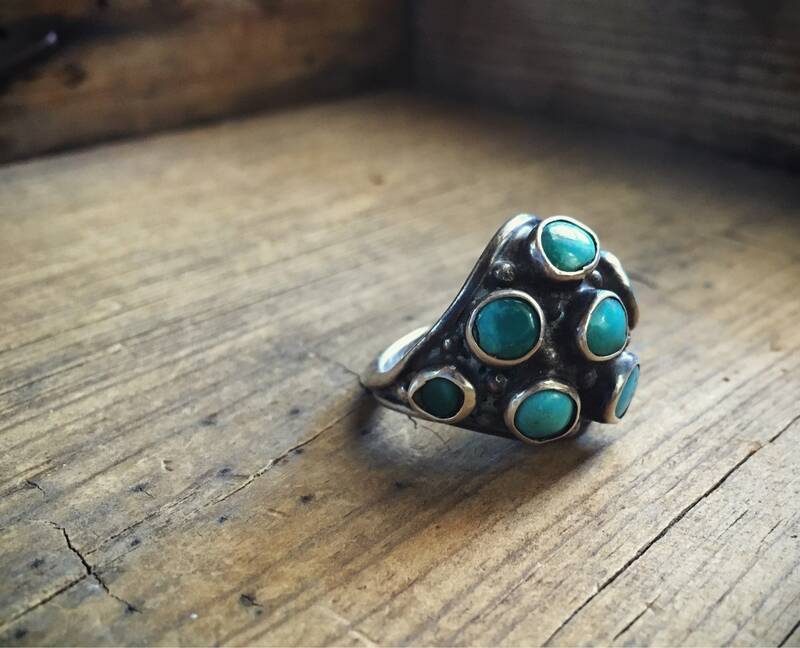 The turquoise is natural and the bezels are smooth. The background is oxidized from age, and I recommend keeping it that way as it adds depth and contrast. The piece carries a hallmark AR, although I've not been able to confirm the artist. 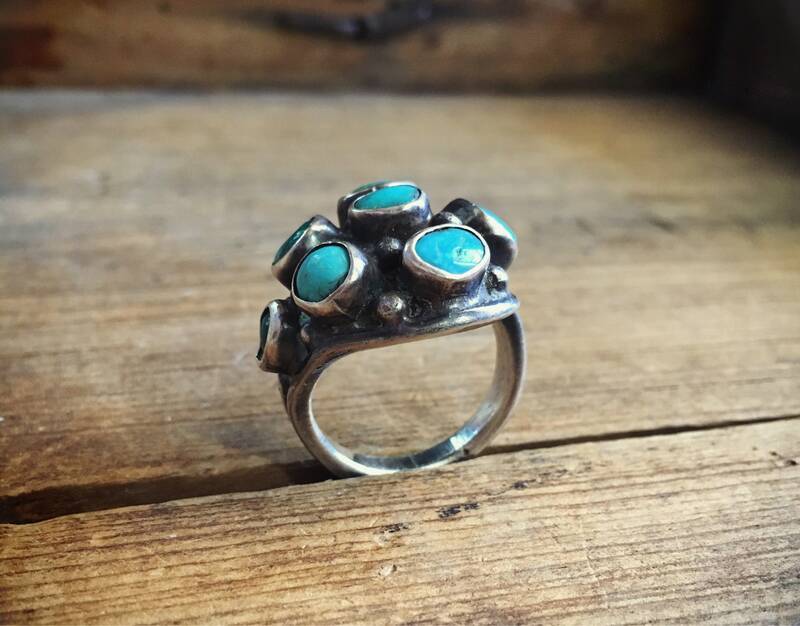 Many of these rings were made by Zuni Indian, yet I believe this is Navajo. 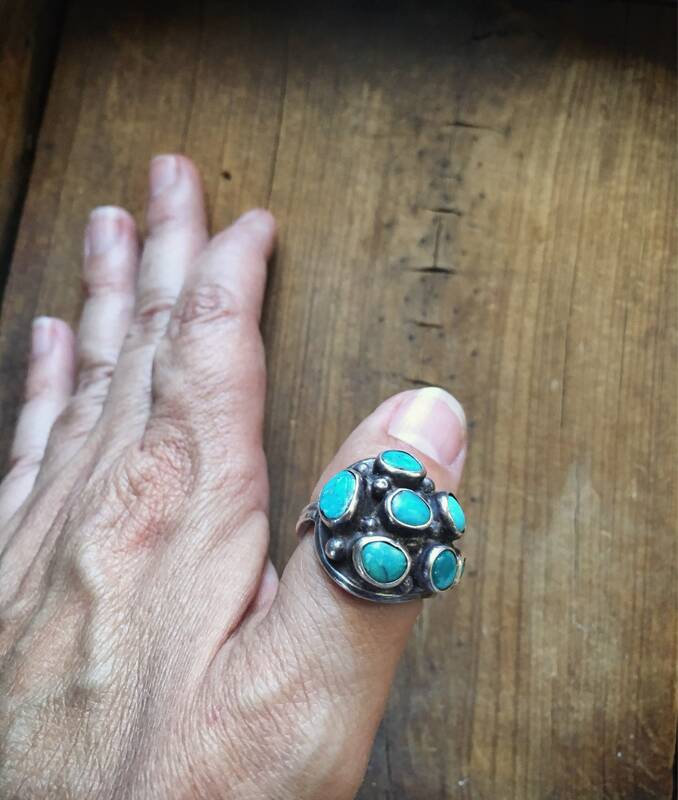 The portion of the ring face that is oxidized measures about 1-1/4" across, although it is domed and so it does not seem that wide--by about 1" long. 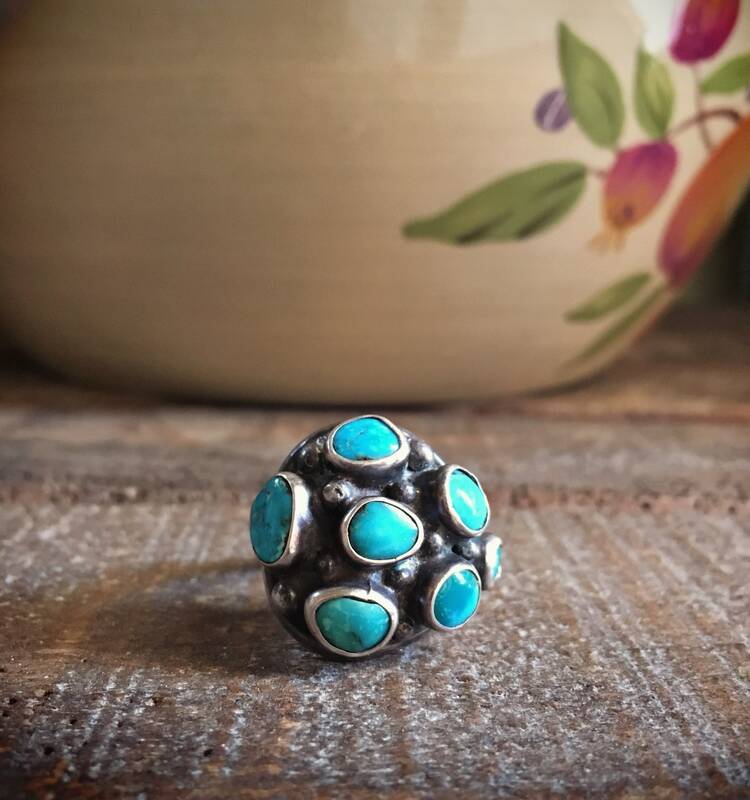 The seven turquoise cabs range from 3/16" to 1/4" in diameter. I love the ring-and the delivery was so fast!